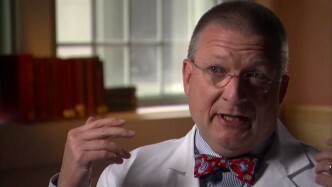 Benjamin Warf is a pediatric neurosurgeon who has revolutionized the treatment of intra-cranial diseases in very young children, with a particular focus on hydrocephalus (“water on the brain”). Many children with untreated hydrocephalus do not survive or suffer significant cognitive disabilities; such outcomes are common in parts of the world where access to neurosurgery is scarce. 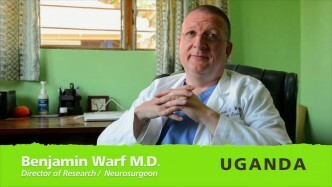 In 2000, Warf became Medical Director and Chief of Surgery at the newly established CURE Children’s Hospital in Mbale, Uganda, where he encountered a high incidence of hydrocephalus. Because traditional treatment of hydrocephalus—insertion of shunts—is both prohibitively expensive and requires sustained medical monitoring beyond the reach of most children in the developing world, Warf introduced an alternative, low-cost treatment. In carefully designed clinical trials, he demonstrated that a relatively straightforward, one-time treatment using modern endoscopic techniques (based on a surgical approach first attempted in the early twentieth century) results in outcomes that are at least as safe and effective as ventricular shunts, but requires far less medical infrastructure and post-surgical maintenance. As an adjunct to his clinical practice, Warf developed CURE Hydrocephalus & Spina Bifida, a training program and network for neurosurgeons throughout Africa, Asia, and the Middle East, increasing exponentially the number of children who can now be treated using his method. 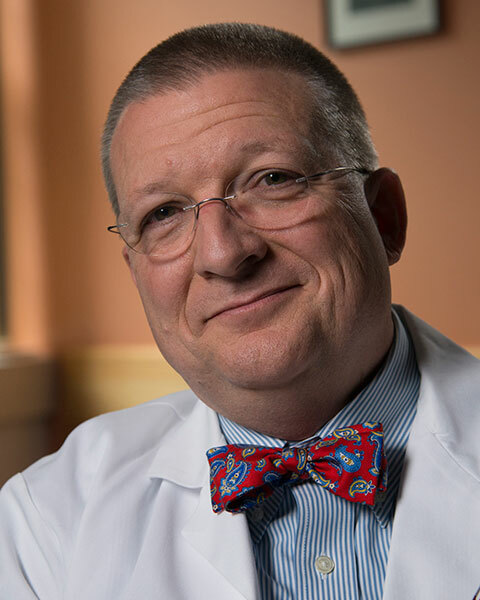 He has returned to practicing pediatric neurosurgery in the United States, and is now working to expand worldwide knowledge of and access to hydrocephalus treatment he pioneered. Benjamin Warf received a B.S. (1980) from Georgetown College and an M.D. (1984) from Harvard Medical School. He completed his residency (1985–1991) in neurosurgery at Case Western Reserve University. From 2000 to 2006, he served as medical director and chief of surgery at CURE Children’s Hospital of Uganda, and in 2010 he joined the faculty of Harvard Medical School, where he is currently a professor of neurosurgery. He is also the Hydrocephalus and Spina Bifida Chair at Boston Children’s Hospital. Dr. Warf serves as Senior Medical Director of CURE Hydrocephalus & Spina Bifida and was named a MacArthur Fellow in 2012. His prior affiliations include the University of Kentucky (1992–2000) and Thomas Jefferson University (2007–2009).